The 2019 results of our annual desk price index have now been published and we’re so excited to share the results. One important data point when analyzing the growth and evolution of the coworking industry is desk prices. The annual change provides insights into growth in user demand, while also reflecting downward pressure from price competition and the development of the industry across second and third-tier cities. While coworking is providing flexible pricing options to its members, it doesn’t necessarily mean that it is cheap. In some markets, average pricing is high enough that working from home, public libraries, or coffee shops is still a preferable option for many. 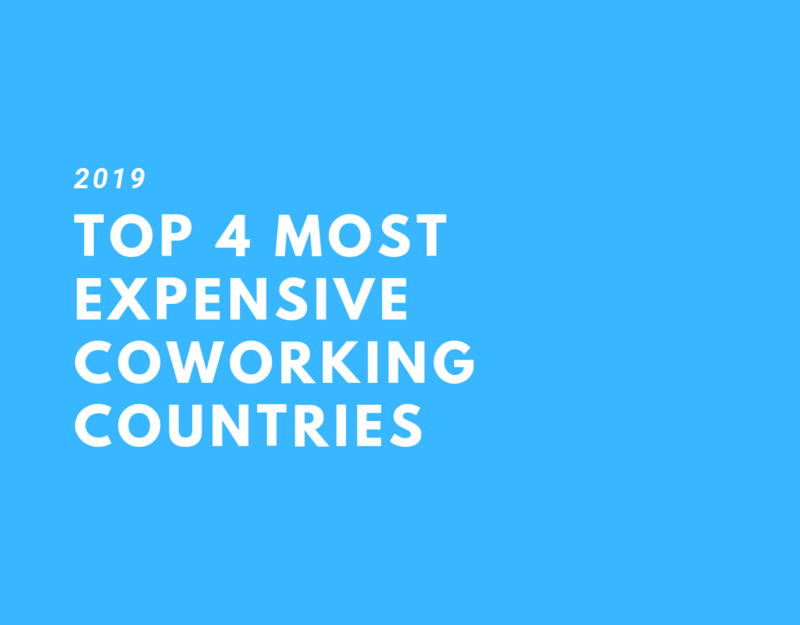 Below, we share the top four most expensive coworking countries in the world based on our 2019 results. 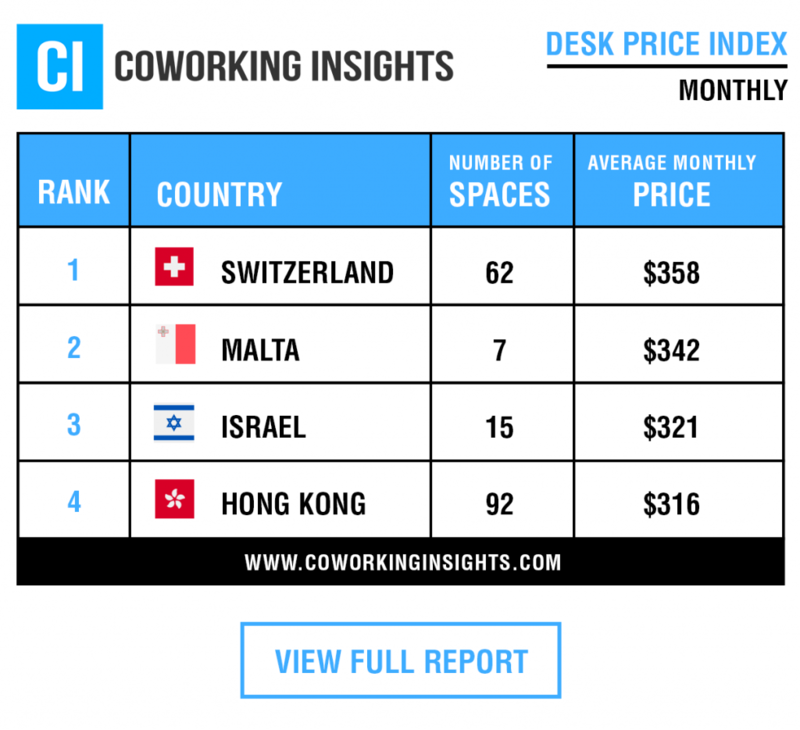 Switzerland tops the list at an average price of $358 a month for an open desk membership. No surprise, most Swiss products come with a premium price tag and coworking follows suit. Hong Kong, with arguably the most expensive real estate in the world (depending on the metric of choice), rounds out the top 4 at $316. It’s worth noting that Hong Kong, now with more than 100 coworking spaces, is one of the most concentrated coworking markets in the world. Malta and Israel were less obvious list inclusions at $342 and $321 respectively.